The court said that the petition was "frivolous" and "motivated", and that the petitioners were attempting to malign the judiciary. New Delhi: The Supreme Court on Thursday dismissed the petitions seeking an SIT probe into the death of Judge B.H. Loya. “There is no merit in the writ petitions, Judge Loya’s death was natural,” LiveLaw quoted the bench as saying. The court also said that the petitions were “frivolous” and “motivated”, and that the petitioners were attempting to malign the judiciary. The three-judge bench of Chief Justice Dipak Misra, Justice D.Y. Chandrachud and Justice A.M. Khanwilkar was hearing a string of writ petition filed, all seeking an independent probe into the death. “There is no reason to disbelieve the sequence of events leading to the death as narrated by the four judicial officers namely Shrikant Kulkarni, Shriram Modak, R. Rathi and Vijay Kumar Barde and the assertions of Bombay High Court Justices Bhushan Gawai and Sunil Shukre,” the bench said, according to LiveLaw. Judge Loya’s death has turned into one of the most controversial cases in recent years. It has not just polarised political opinions, but has also unleashed sharp divisions in the higher judiciary. At the time of his death, in December 2014, Loya was presiding over the Central Bureau of Investigation court hearing the Sohrabuddin Sheikh fake encounter case, in which BJP president Amit Shah was one of the main accused. In November 2017, Caravan magazine broke a story that revealed how some of Loya’s family members had expressed their suspicions around his death and the way it was handled. As per official records, he died because of a cardiac arrest. However, the Caravan story raised questions around the possible tampering of multiple hospital documents related to his death. This raised a political hue and cry, particularly since his successor at the CBI court, Judge M.B. Gosavi, discharged Shah less than a month after Loya’s death. Gosavi had said that the BJP president’s name has been dragged into the fake encounter case for “political reasons”. Because the case against Shah, which was being heard at the court since 2012, drew to an abrupt close, opposition parties had alleged that the CBI was playing into the hands of the Union government. The case had already become controversial as despite the Supreme Court’s direction that the case be heard by a single judge at the CBI court in Mumbai, judges were changed multiple times. After the Caravan published its first story, the number of questions around the judge’s death kept increasing. For instance, the magazine also published an article in which Loya’s family members alleged that the judge was offered a bribe of Rs 100 crore to pass an order favourable to Shah. Loya’s relatives also alleged that his phone was returned to the family only 2-3 days after his death and the data appeared to have been deleted. The judge’s son also wrote a letter to the chief justice of the Bombay high court asking for an investigation. However, as the matter became a talking point, his son later retracted from his demand. Many argued that Anuj Loya, the judge’s son, may have been under pressure to withdraw his appeal for a probe. The much-discussed developments around Loya’s death assumed greater proportions when the four senior-most judges of the Supreme Court, in an unprecedented press conference, alleged that Chief Justice Misra was allocating work “selectively to the benches of their preference”, bypassing senior judges in the process. One of the four, Justice Ranjan Gogoi, told journalists that the press conference was prompted by the Loya case. Since then, many former and serving judges, lawyers, politicians, Loya’s friends, and civil society activists have spoken out in support of an independent probe into the case. As the controversy grew, a three-judge bench at the Supreme Court – comprising the chief justice and Justices Khanwilkar and Chandrachud – started hearings multiple pleas seeking an independent probe in Loya’s death. The SC bench itself had become controversial as the four judges had already implied in the press conference that the chief justice had defied convention by leaving them out from such an important case. In the court, counsel for the petitioners, Indira Jaising and Dushyant Dave have been foregrounding the questionable circumstances around Loya’s death, while Mukul Rohatgi, advocate standing for the Maharashtra government, has been challenging them. Rohatgi’s arguments were based mostly on the statements given by the four judicial officers who claim to have been with Loya before his death and say that he died of natural causes. The three-judge bench too appears to have primarily relied on their statements. Meanwhile, questions about the circumstances around the judge’s death are still emerging. 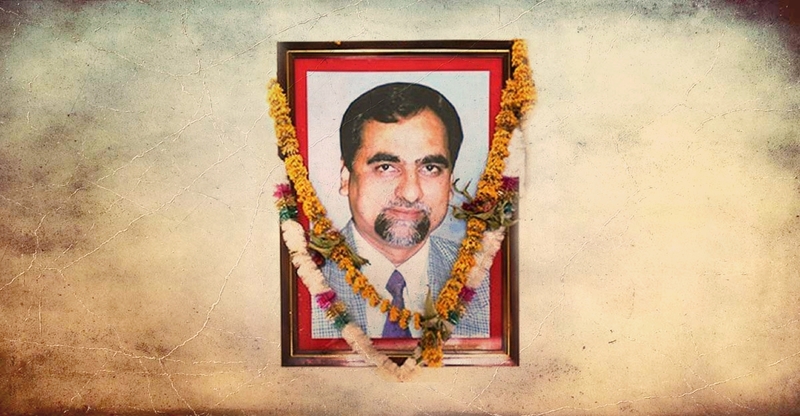 The Caravan reported that the post-mortem examination of Loya’s body at the government medical college, Nagpur was allegedly manipulated by a doctor called Makarand Vyawahare, who is the brother-in-law of Sudhir Mungantiwar, BJP leader and Maharashtra’s finance minister. The official records, however, stated that the post-mortem was conducted by one Dr N.K. Tukaram. “Vyawahare is the brother-in-law of Sudhir Mungantiwar, the finance minister of Maharashtra, who is practically the number two in the BJP-led state government under Devendra Fadnavis,” the report states. Jaising, in the court, too had raised several discrepancies in the post-mortem report. In April, the National Herald reported that additional solicitor general Anil C. Singh (currently representing the CBI in the trial court in Mumbai in the Sohrabuddin Sheikh encounter case), Justice N.W. Sambre (presiding over the hearings on petitions related to the discharge of several IPS officers accused in the encounter) and Amit Shah were staying at Ravi Bhawan – the state guest house in Nagpur where Loya was staying when he died – at the same time in March 2015, nearly three months after the judge’s death. The Caravan reported that Sanjay Fadnavis, a cousin of Maharashtra chief minister Devendra Fadnavis, threatened an advocate, Abhiyan Barahate, who had been gathering information regarding Loya’s death. “We are coming in even in 2019…then we will see,” Fadnavis’s cousin was reported to have said. The Maharashtra government’s counsel, however, refused to acknowledge Sharma’s testimony in court and said that it could not be trusted.